It took just minutes for Chelsea to fall behind against Manchester City, and a lot of Chelsea fans have only one man down as the culprit. After what was a bright opening couple of minutes, the Blues let City catch them napping, there was a catastrophic attempt at defending from a set piece, and we found ourselves behind. Omg. Agüero just saved Alonso by missing an absolute sitter. Words can’t describe how crap Marcos Alonso is defensively. Marcos Alonso switches off entirely and allows Bernardo Silva in down the right. Ball finds it’s way to Raheem Sterling who finishes emphatically. 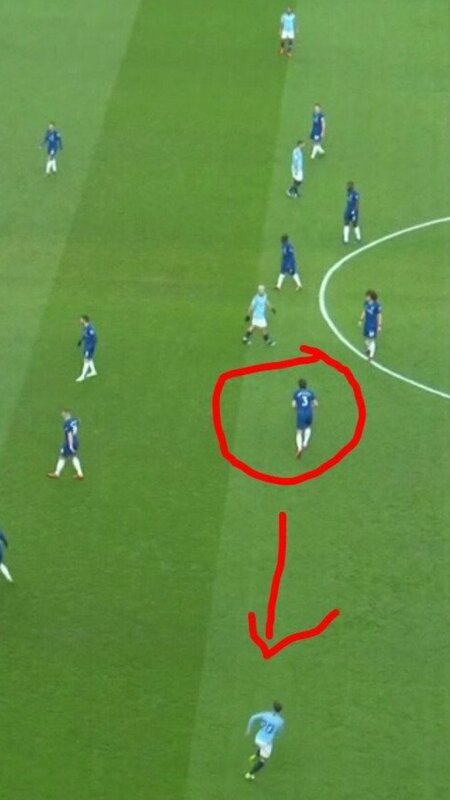 What on Earth is Marcos Alonso doing there…? Literally turns his back on B. Silva completely free on that right flank. Disgraceful. Alonso is not a footballer.